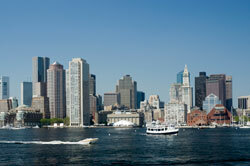 The Boston Municipal Analysts Forum (BMAF) is a not-for-profit association of municipal bond analysts located within the greater Boston area, and serves as the local affiliate of the National Federation of Municipal Analysts (NFMA). BMAF's focus is to provide a forum for issues of interest to the municipal bond analyst community, encouraging professional development through discussions, meetings and presentations of issues deemed relevant to its members. BMAF exists for the sole purpose of benefiting its members. Membership is open to municipal analysts and municipal portfolio managers who meet the standards as established by the organization and outlined in the By-Laws. Dues are collected annually. BMAF welcomes new members to the organization and encourages their participation. Currently, there are over 180 members. The BMAF Board looks forward to hearing comments and suggestions from their members. To e-mail any of the BMAF Board, just click on their name. Our Events are listed on the main page of the NFMA site. 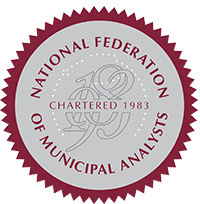 NFMA • Copyright© 1997-2019 National Federation of Municipal Analysts. All rights reserved.